My name is Ena, and I'm part of the IBM Community Management team. My main goal is to support you, answer your questions, facilitate conversations, help you get to know the platform, and make this community an overall great place for you to visit regularly. I'm excited to get to know you all personally. What would make this community amazing for you? How do you use IBM products? What are you passionate about, other than work? What's your favorite Data Science joke? Here's a little about me: I'm a history enthusiast, I love documentaries, my guilty pleasure is too much black coffee, and I'm super excited to be here at IBM Community. OK, your turn! Upload that profile picture and introduce yourself! About me, I am a self-confessed introvert. And I do what introverts do the best - read, read and read. I am very tech savvy and a good observer of stuffs. I learnt [R] and Analytics earlier and am learning Python these days, as its versatility quenches my technical thirst. Regarding me being here, I am planning for a career switch in Data Science. The things to learn is abundant but no right resource or guidance for a learning path. I am hoping this will be achieved over here. I am also here for networking with other Data Science professionals, so feel free to drop me a hi when you get time! I 'm an avid reader as well, be sure to let me know some of your favorite reads! So glad to have you as part of the community, you're definitely in the right place for Data Science learning and networking. I´m Carlos Gerardo Said; IT Manager for a university institution. Professor and Researcher. Have a Master degree in Knowledge Engineering, and more than 40 years working on IT and Data Science. Thanks for the opportunity to be part of this space. Wow, 40 years of experience! That's impressive! "You are so Mean that your Standard Deviation is Zero"
Thanks for joining the community. If you're interested in the latest Data Science technology, be sure to check out Data Science Community Day. It's a virtual event that I think you'd like! A Machine Learning algorithm walks into a bar. The bartender asks, "What'll you have?" The algorithm says, "What's everyone else having?" My name is Steve Walsh. I've been with IBM for 2 years and with Thomson Micromedex / Thomson Reuters / Truven Health Analytics (the latter was a Watson Health acquisition in April of 2016) for 13 years in a variety of IT roles. I have a B.S. in Information Systems and a minor in Math. I'm just starting down this Data Science path after almost 20 years in various IT support and administration roles, trying to finally put my actual degree to more direct use. I'm taking classes through Udacity's "nanodegree" programs; specifically their Data Analyst and Deep Learning course series. The biggest challenge for me, I think, will be getting my foot in the door with my first actual DSci position. As with many fields, that first step is often the more difficult. I'm glad to be here with colleagues of similar interests. We're so glad to have you as part of the community. It's a great place for networking and meeting new people with similar interests! My name is Matthias Hertweck. I'm responsible for the Software Client Architects (SCA) in Europe within IBM. The SCAs support key clients in developing software solutions and architectures for major business challenges. Data science is one of my favorite topics where i'm keen to exchange experiences and learn more. We are actually creating huge amounts of data. With the potential of IoT we are accelerating the creation of data. But if we are not capable to generate new intelligence out of all this data, every data is useless and a waste of storage. Data science is the key for me to create new intelligence and insights out of data. I work for 25 years in IBM. Primarily in the software business, in technical sales, sales, services and lab development roles, national in the market, international, across industries primarily non-financial. I'm always interested in solutions creating value to solve concrete problems. Tools and products support me to achieve this but are not the primary driver. This applies for me also to data science. First get an understanding of the business problem and apply then the appropiate tool/ technique to solve it. I'm looking forward to collaborate, exchange and network in this community. I need help overcoming obstacles as I work through projects. This means advice and reference to where I can find the solution. And, maybe some encouragement too. I use SPSS Modeler to create descriptive, predictive, and prescriptive analytics for the Advancement (fundraising) division of a small, private university. Why were our math and stats professors such good dancers? They had algorithm! My name is Marius. I'm one of the community managers here at IBM. Happy to help in any way I can. Hello everyone, I'm a machine learning researcher and sometimes applied data scientist. I'm on the IBM Community marketing team and am here to help build a great community for our members. Hello My name is Damilola Omifare. I am a self taught programmer, data scientist and machine learning engineer. 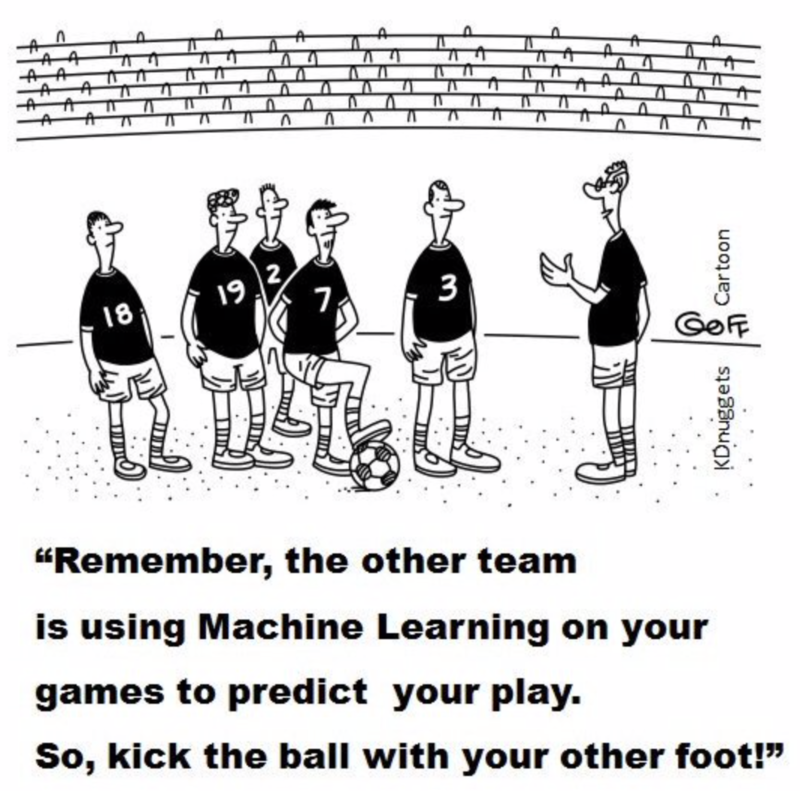 I share my own thoughts about Machine learning, Artificial through my personal blog post. I am interested in learning and collaborating with others. Hello, my name is Lynn Chou, IBM Community Marketing Manager for Core Databases. If you have questions on Db2, Informix, or other Data Management issues, I will be happy to get the right expert to help you. My pleasure to meet you all, advocates of Data Science! I'm Winnie Yeung. I specialized in Performance testing using automated test tools working for IBM the past 16 years. Prior to my career move to IT, I had an academic background on Actuarial Science having my early career in the Life Insurance industry. As you might know, Actuarial Science is within the field of Applied Statistics, an early form of supervised Machine Learning and modeling. The emerging Cognitive Computing and Data Science have rekindled my passion in Statistics like an unfulfilled dream. I am excited that Data Science has now given new meaning and purpose for so many business applications! I download and experiment Data Science toolkits, Watson Studio, SPSS, IoT on Cloud. What I found most helpful in my learning is attending local meetups. I take advantage of every opportunity to share and collaborate hence the Communities! As volunteer, I most recently reach out to Grade 7 and 8 students in summer camp to mess up a few things with Raspberry Pi, and Voice box configuring Cloud. A lot of fun, laughter AND sweat but no effort ever wasted! What's your kind of adventure path? Good morning/afternoon/evening to you all! My name is Tracey, and I have been a Data Scientist for longer than I knew what I was. :) I work in IBM Systems (which was IBM Microelectronics) making the newest, fastest, most powerful computer chips on the planet (if I do say so myself, which I do). I have a Ph.D. in Chemistry, which was useful when I was working on the line in manufacturing, but for the last 15 years, I've been learning a ton of programming to meet my own analytic needs. So far, I've picked up SQL, SAS, Java (+Groovy), and now I'm deep into Python. Tons of fun! In my spare time, I am raising four great kids and spending as much time as possible outdoors. What do you get when you cross a mountain climber and a mountain goat? 1) Nothing! You can't cross scalers. 2) Removal of your funding and a stern rebuke from the ethics committee. I am Aradhana working on Air Canada account as an TPF analyst.Now planning to switch into data science. I have already started learning it by myself and also looking for few certifications. However ,more than self study its all about mentors,guidance,and practical experience which will help us to learn quickly .I am eager to work on some data science projects as a beginner to enhance my knowledge. Myself Nidhi Pal.I am with IBM since 8 years now and working as CTD specialist designed by IBM Research lab which is used for test case optimization,test accelerators and ensure 100% requirement coverage by permutation and combination logic behind. i have around 11 years of industry experience and now i am looking forward to upgrade my skill sets in Data Science path.I have self learned many skills in the Data Science area like Data Cleaning, Imputing,reading, writing etc using Pandas,drawing plots using Matplotlib,Converting Unstructured data into structured data using NLP,various ML Algorithms to train machine and test it for future predictions. Now i am looking for real time project to implement all my skills and looking forward communities help in this regard. My name is Arun, and I'm Member of the IBM Community. I have been working in IT for almost 15+ year. Love and craze for technology have driven me from a simple DTP operator to Tech Lead (Front End). I am very exited in learning, understanding and implementing technologies. I am looking forward to enter in Data Science, ML, and AI World with the help of IBM Community. My name is Sergio Silvestri, I am from Brazil and I have been working in IT 30+ years. I have Bachelor's degree in Mathematics. I worked 18 years for IBM Brazil and I am working 1+ year for IBM Czech Republic. I have started self learning Data Science following "Your Learning/Hot Roles" recommended learning and badges. I would like to have a mentor to guide me through the journey. What would make this community amazing for you? I can find people who are on the same path that I am. How do you use IBM products? I used SPSS Modeler during learning activities. I am looking to apply them in the real world. What are you passionate about, other than work? I like to read and go out with my family and friends to drink beer. What's your favorite Data Science joke? As a newcomer in this world, I hope to learn some jokes. Just as many of you have found, telling stories with data is exciting! The unknown is just as interesting as the discovered. Within this space, there is variety and always room to grow . My background is as follows: Fine Arts major -> changed to accounting -> Payroll -> Implementation Specialist/Team Lead-> Accounting Systems Specialist -> Technical Consultant. There was also a year of teaching high school math, which although did not pay the bills, I am very happy it happened and renewed my love of math. I will end the introduction with a favorite quote from W. Edward Deming: "In God we Trust. Everyone else must bring data." Thank you for having me and I look forward to getting to know everyone! My name is Juan Lessey and I'm an Architect and Designer from Venezuela. In general, I'm interested in all aspects and scales of design: architectural design, industrial and graphic design. As a side activity, I like visual art and digital manipulation of images to produce interesting results. A couple of years ago I started to learn programming, from the very basic foundations to a bit more elaborated programs and that's when I learned about Python, Web development, Algorithms, processing Databases and Accessing Web Data using APIs. My goal is to keep developing those skills and that's the point of interest in pursuing a career in Data Science. Specifics subjects of interest are Algorithmic Art, Deep learning for image recognition and the ways Data Science could be related to Digital Visual Arts. Other than work, I'm passionate about music, photography and outdoors adventures. What I like about this community so far is the diversity of backgrounds. The different perspectives that could come out around solving problems or others subjects are very valuable. I am a IBM Global Elite Client, Experience Manager for Analytics which, of course, includes Data Science. I am not a Data Scientist myself but cause of my job role I am interested in Data Science existing and upcoming projects as well as what topics in general are being discussed in this group. Besides work, I like jogging with my dog, reading (all kinds of stuff), Yoga and being politically active. My name is Jonas Carvalho, I am 23 years old guy from Brazil. I am also a Production Engineering student who loves Sci-Fi books. By the way, isn't "Fundation Series" from Isaac Asimov the greatest novel of all times? What about "Planet of the Apes" from Pierre Boulle? Isn't that sooo good?! I can't forget to mention Ted Chiang and Lovecraft as one of my best readings too. Neverthless I like wheat beer and coding Python as well. By doing so, I am totally devoted to Data Science. I've started on IBM SPSS Statistics on college, then I moved to PowerBI and now as a IBM intern I am taking a chance on IBM Watson Studio. Hi there. My name is Mark and I live in Southern California. I love learning a lot; it's a sort of an obsession. I work for an IBM business partner in presales. My job is to know enough, technically, about IBM's software solutions in order to help qualify, progress, and close opportunities. I love demos and any excuse to write some code. I would love to know more about what people are doing with data science; projects and use cases. I can think of a ton of use cases but I'm curious to know what others are seeing and doing IRL! How do I use IBM products? I'm primarily a presales person so the IBM products don't get too much use on my end. I use Eclipse but lately spend more time in Jupyter notebooks in Anaconda. I gave a demo yesterday of the console for IBM Cloud. I'm an avid photog, nothing serious but just having fun taking great photos. Love to travel the world. I'll pretty much go anywhere. I'm also a bonafide italophile. Great question. I'm passionate about the environment and animal welfare. 3 relational DBs walked into a NoSQL bar. They walked out because they couldn't find any tables. Please reach out if you have anyone who is happy with IBM, has transformational or quantifiable benefits as a result of their experience with IBM. We write up their stories, video tape them, and even just get a quote or ghost write a blog for them! My name is Nitesh Tantravahi and I have been with IBM for almost 4years now. I started off at IBM after my Master's in Software Engineering from Drexel University, Philadelphia. I joined as a Cloud Delivery Specialist -> Cloud Developer -> Cloud SME and now a Full Stack Developer at IBM Silicon Valley Labs. I am also IBM certified Data Science Professional. What would make this community amazing for you? This community is already amazing with everyone enthusiastic and in love with data science. I would do my best to learn, share and contribute as much as I can. I use a lot and some prominent ones are IBM Watson, Watson Analytics, Cognos Analytics, Planning Analytics, DSX, IBM SPSS Modeler, IBM Cloud, ICP4Data etc. What are you passionate about, other than work? Other than work I am passionate about Photography, Digital Art, and a lot of sports and gaming. My favorite Data Science joke? Looking forward to meeting some amazing people!! !